There is little less than a month left for the WWDC , the World Developers Conference to be held from June 4. The looks, as every year, are set in the evolutions that will experience iOS . Probably the main lines of iOS 12 are given, and the first beta version may be available after a week. It is expected that iOS 12 is an operating system not very deep in terms of visible changes, which it was iOS 11 and left unequal aftertaste to users . Anyway it is undeniable that iOS 11 has brought a lot and good, in my particular case with the function Do not disturb while driving, I am already satisfied. And what will be in 2019? According to the specialized journalist Mark Gurman, iOS 13 will be a fantastic evolution centered on the iPad . Apple does not want to neglect this device and has already given a push with the iPad 2018 compatible with the Apple Pencil. Somewhat. iOS 13 "Yukon" will have a big iPad-focused feature upgrade as well, including an updated Files app. some other things in the works are tabs in apps like in MacOS, same app side by side, Apple Pencil stuff. The home screen redesign is iPad focused. 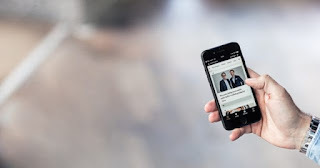 The code name of iOS 13 would be Yukon, and would provide improvements such as a redesign of the home screen, the execution of several windows within an app , as occurs with web browsers. CarPlay would be improved, in the same way as the Photos application. The Apple Pencil would have new features. And perhaps the most juicy is to be able to execute two different characteristics at the same time in the same application . And the Files app? With more functions yet. Therefore, will iOS 12 be a transitional operating system? Will iOS 13 come as juicy as you think? All this and more we are waiting for you in comments.